Valentine’s Day is right around the corner — less than a week away! — and while I enjoy a sparkly pink eyelook on occasion, this year I wanted to go for a more cool-tone approach with a soft and smokey look that accurately shows my own “Looks to Love” style. If you want to see how I achieved this look (step-by-step pictures included), just keep reading! As I’m sure you could tell from the header image, I’m going to be using a lot of Maybelline products, the star of the show being their new The Rock Nudes palette! 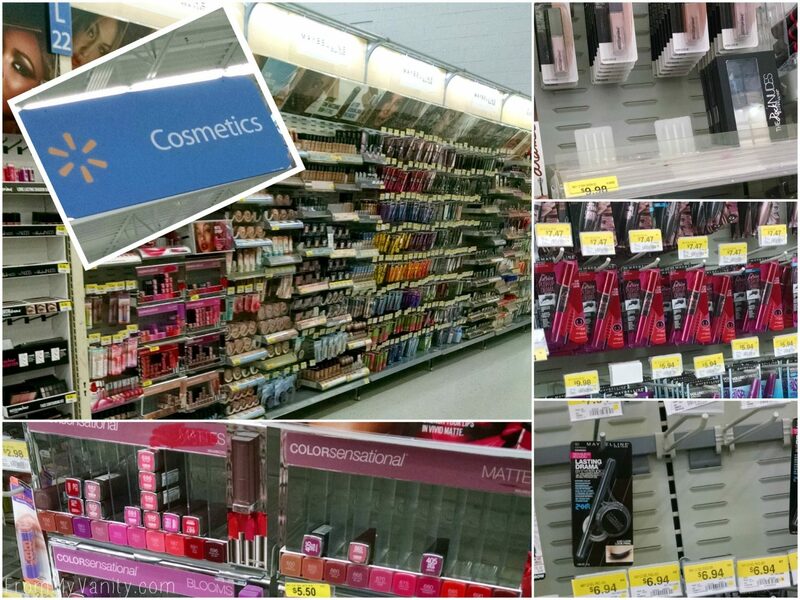 Maybelline is killing it with new, fantastic products this year — every time I go into Walmart I feel like they have something new on display. When I went to get this palette for my Looks to Love Valentine’s Day makeup, I also picked up their new The Falsies Push Up Drama mascara, Color Sensation Matte LipColor in Lust for Blush, and my holy grail gel liner EyeStudio Gel Liner in Blackest Black. Here’s a close up of The Rock Nudes palette so you know what shadows I used in each step. Let’s get started! Step 1 — After priming my eyelids, I took the white shade in the palette and applied it to my browbone and blended it down into the crease. Step 2 — Taking the second darkest taupe color in this palette, I blended it into my crease, slowly building up the color. Step 4 — Using the black shade in the palette I blended it into my outer corner, dragging the color up and into my crease slightly. I also used a smudge brush to darken up my lower lash line. Step 5 — For an extra pop, I used the silver shade as my inner corner highlight, blending it out toward the center of my lid. Step 6 — Wing it out! And since Valentine’s Day only comes once a year, I went for a thick, bold line! Step 7 — Finishing up the eyes, I used the new mascara to amp up the volume. I must say, I heard mixed reviews about this mascara, but I really liked the results I got with it! Step 8 — I’m always eager to sport a matte lip, but with the cold weather still hanging on around here, my lips are too dry to handle the liquid lipsticks. Maybelline’s Color Sensation Matte LipColor line is perfect for me, then, as it gives me the look I want without the horrible drying effect. This color, as I already mentioned, is Lust for Blush. Gorgeous, isn’t it?! And these are the final results! 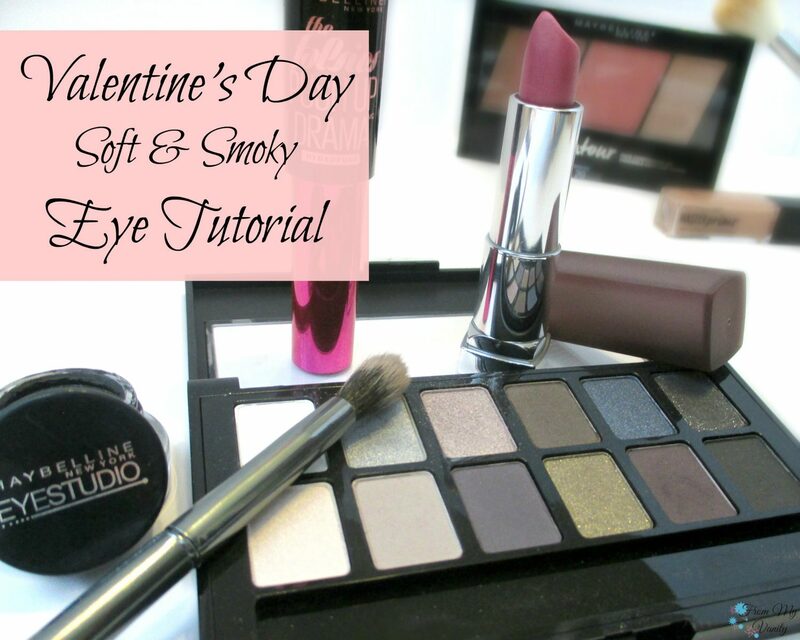 Super easy and quick to get this soft and smoky eye look, so even being a busy new momma, I can still get glam’ed up for Valentine’s Day! If you want to see what I used for my face makeup, it’s all listed in this post. What do you think? Would this be a look you would wear for Valentine’s Day? Share with me in the comments below what look you’ll be going for next week. 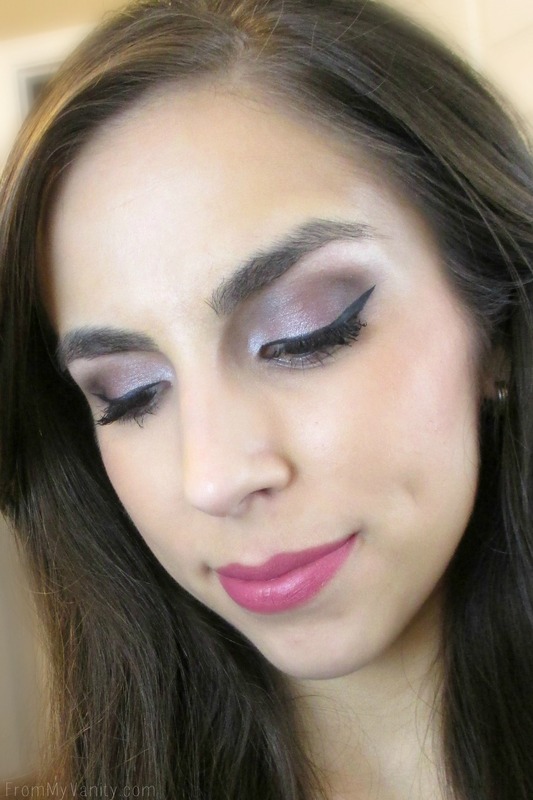 It was fun to create this look using the new Maybelline The Rock Nudes palette — have you tried this palette out yet? That is a gorgeous look, Katie! I love the white/brightness not only in the inner corner but along the lashline. And the lipstick is a beautiful shade. I need to try one of the Color Sensational lipsticks. I never would have tried a matte lipstick, but this one doesn’t look uber-matte and drying. This look is gorgeous! I obviously have to compliment you on your in-store photo because mine never look that good! All of your pictures are gorgeous though. Beautiful makeup look! This is so pretty! I’m very new to makeup … own it but don’t know how to apply it! Thank you for the step by step! This is gorgeous! You are amazing with that winged eyeliner…that’s a skill I am yet to perfect! Oh, thank you! I’m kinda addicted to wings — I do them every day, so lots of practice! Your make up is on point! I am jealous of your winged eye….I can’t get the hang of that skill. I love the lips! I love that lippy! The color is perfect on you. ALSO… you’re liner is on point! That wing is perfection!! Thanks, I fell in love with this color as soon as I applied it to my lips. 🙂 I know I’ll be wearing this a lot this spring! This is all so gorgeous on you. Everything looks perfect. I appreciate you showing the brush you used for each eye step, that helps make the tutorial easier to follow. You’re welcome! Yes, knowing the type of brush to use always helped me when I am trying to master an eye look, glad you found it helpful, too! This is a great look. So romantic. <3 Great post! Great step by step details and pictures!! Love the look! I love the lipcolor! So beautiful! It’s a gorgeous lipstick, I highly recommend it!